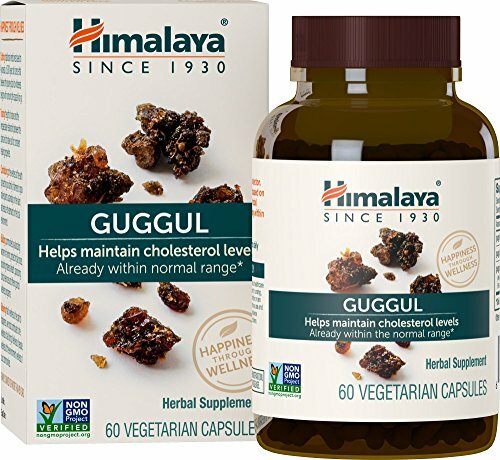 If you need cholesterol support, Himalaya Guggul extract capsules are also a great daily source of guggulsterones, the constituents in Guggul most commonly researched and written about. In ancient medical texts, Guggul, which translates to "protector," was commonly included to tone digestion and support the liver, making other ingredients more effective. Today, researchers have focused on its potential to support your total cholesterol count with particular attention to HDL and LDL cholesterol already within the normal range. Himalaya Guggul comes in a 15-day supply, and the recommended use for adults is 2 capsules twice daily after food. All Himalaya products are formulated to support your body's organ systems and their normal function, and are rigorously studied for purity, safety and efficacy. In addition to being tested for quality and potency, Himalaya Guggul is Non-GMO Project verified, vegetarian and vegan, and is free from gluten, soy, wheat or corn. 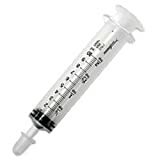 It is also produced in a cGMP facility and contains no magnesium stearate or capsules made of animal gelatin. Himalaya Guggul comes in an easy-to-swallow veggie capsule. Himalaya herbs are wildcrafted and grown sustainably through fair trade farming partnerships with over 5,000 independent farmers. When you want daily guggulsterones in convenient Guggul extract capsules, plant new seeds of wellness within yourself with Himalaya Guggul. When it comes to natural herbal products used and trusted all over the world, it's Himalaya since 1930.